October was a little different, amazing by my standards. I spent the bulk of my time creating one picture. It took at least five weeks, especially with all the detailing that went into it. All my social media activity slipped big-time, especially this blog. I needed that break and for many reasons, including going through a creative transition. When I was about half done “Angels Calling”, it came to me that something special was going on . . . more on this further down. As soon as it was finished, I launched “Angels Calling” on my site on FineArtAmerica. That was a few days ago and soon after my first customer got in touch with me. We exchanged a few pleasant emails, and she was so genuinely grateful that I created this piece. Then it really hit me, that unsettled feeling that comes with finishing a major project like this one. I’ve noticed it before, but it seems each time I learn something new. When you finish a painting, especially one that feels like a breakthrough of sorts, there is the experience of a sense of loss. That happens even more when you recognize that something unique going, a change in both process and technique. You get to watch it take form . . . there’s no real hurry to finish the picture . . . you don’t want this journey to end, but you also know that it must. Often, in those times, I’ll dive into something else right away. It feels very much like trying to replace something that’s vanished. It doesn’t take long to become immersed in another project, yet there is this lingering of the previous one. At the same time, I must put on my business hat, announce “Angels Calling” and promote it online. Then I inevitably start thinking of the painting as being more as a product. The process still lingers, but again, this “changing of the hats” seems to helps in putting a closure to the journey. Perhaps it was then, when it was launched, that the journey becomes an arrival? In my next post I’m going to explain the changes I went through, style-wise, while bringing “Angels Calling” to form. This may seem self-indulgent, but it will be a worthwhile exercise for me, and hopefully there will be something you might learn as well? At the very least there will be lots of pictures to see! 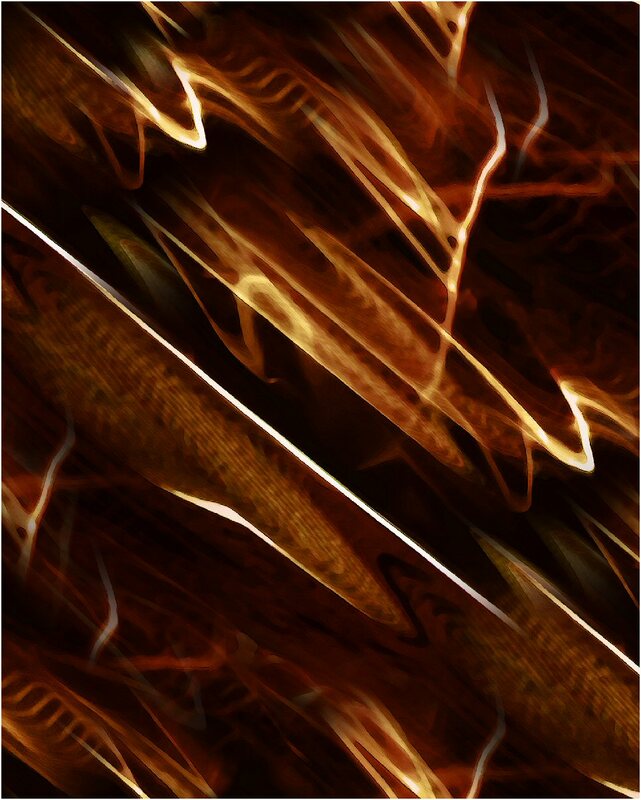 Finally, I’m going to show you two renditions of “Angels Calling”. The first one is the earliest rendition, at least the first with a layer of leaves on top of the sketch. The second one is the final and published version . . . it’s #41. There was a lot going on in October, between #1 and #41. Here they are . . . clicking on the final version will take you to “Angels Calling”on my art site. Final Version (#41) of “Angels Calling”…now on my FAA site…the picture links to my art site. 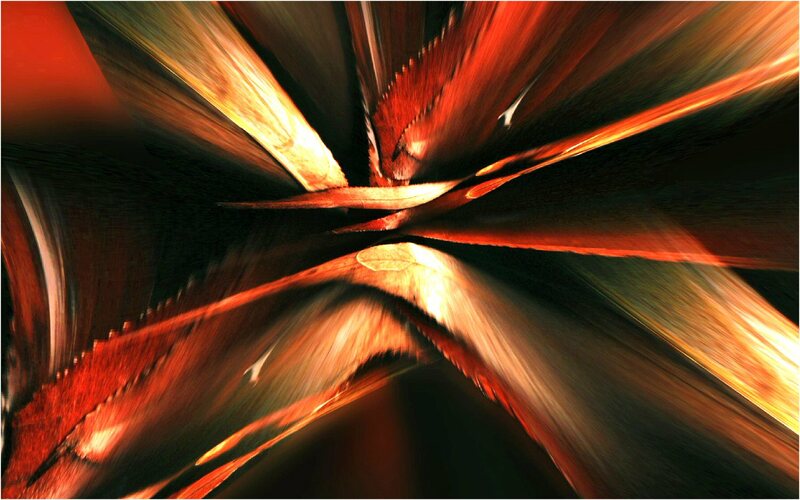 This entry was posted in Art, Fine Art America, Uncategorized and tagged abstract art, Art, leaves, social networking on November 9, 2014 by Lawrence Grodecki.